In a story in TIME magazine, the Iran regime ruled with an iron fist by the orthodox and radicalized mullahs since the Islamic revolution in 1979 is running head-on into the most stubborn of obstacles to their rule: the young people of Iran. Just as the passing of the Baby Boom generation into senior citizen status in the U.S. has wrought significant and deep policy debates and demographic changes affecting the economy, culture and even technology, the Iran regime is now struggling with a population in which a whopping 60 percent of Iranians are under the age of 35 with no real tangible connection to the religious revolution that took over the country. For this new generation of Iranians, their interests lie not in rigid religious ideology or foreign intervention in proxy wars, but rather in the more mundane goals of finding a meaningful career, saving up for a car or new washer and dryer made by Samsung or buying a iPhone 6 from Apple. For Iran’s young people, the pathway to a better life is increasingly not going through the hands of their mullah masters, but rather through their own desires, hopes, dreams and aspirations. It is a remarkable time for the Islamic state as it gains newfound economic windfalls resulting from the recently completed nuclear deal and these same, restless young Iranians eagerly look forward to the distribution of this new wealth to improve their lot in life which has grown stunted, moribund and depressing under the harsh rule of the mullahs. Even though Iran’s population, high degree of education among its people and skilled labor force makes it an ideal economic engine for growth, the mullahs have wasted this prize in favor of cronyism, corruption and gross nepotism that has cut a deep schism through Iranian society between haves and have-nots with families and relatives of the mullahs and their Revolutionary Guards being the recipients of the nation’s wealth. Iranian dissident groups and leaders such as Mrs. Maryam Rajavi of the National Council of Resistance of Iran have long pointed out that the economic and social disparities fostered by the mullahs are laying the seeds for their eventual ouster since Iran’s own history shows that the start of the 1979 revolution came not from religious fervor, but deep-seated resentment over the state of the economy under the Shah. The corruption of the current regime runs deep within Iranian society and has caused significant unrest in the form of demonstrations and protests from young people, teachers and small business owners, which are often brutally put down by the regime’s paramilitary Basij militias who often inflict beatings on the street. In another sign of the oppression from the mullahs, Al-Monitor reported on a move by the regime’s Ministry of Education to set a strict quota in the number of new jobs made available to Iranian women. “The Ministry of Education held its nationwide exam for new job applicants on Sept. 18, with 178,000 people participating. The exact date for the announcement of the results is unclear. But what is clear is that no matter what score female applicants may obtain, they will make up only 10% of those who will be employed,” Al-Monitor reported. “This disappointing development came to light in the registration guidelines for this year’s exam. Of the 3,703 educational posts up for grabs, it is stated that only 630 will go to women while the other 3,073 posts will go to men. 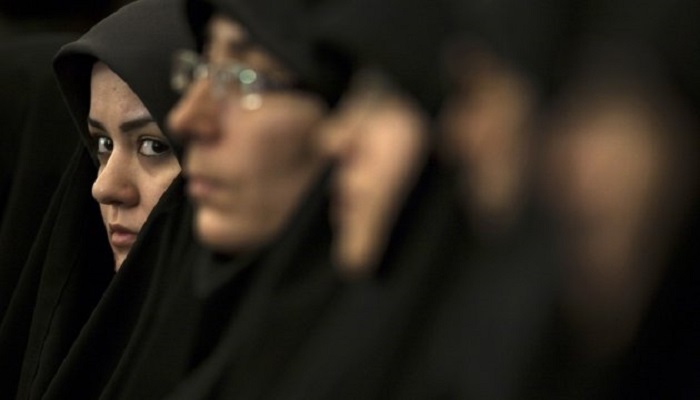 Female applicants in the Iranian capital are perhaps the most exposed to this policy; of the 190 new employees that are to join the Ministry of Education in Tehran, only six are set to be women,” the story added. The elevation of Hassan Rouhani as the handpicked president for the regime came with much fanfare over new regime policies towards gender equality and the vast gulf in educational and professional opportunities for Iran’s women. The evidence over the past two years that while Rouhani tries to project a more friendly and moderate image to the rest of the world, at home, the plight of Iran’s women has only gotten worse. Against this backdrop, Rouhani prepares to come to New York to address the United Nations General Assembly as part of his annual PR push and with it comes a rising chorus of protest over the policies he and his master, Ali Khamenei, have pushed over the past two years. Ken Blackwell, a contributing editor to Townhall.com and a senior fellow at the Family Research Council and the American Civil Rights Union and a board member of the Becket Fund for Religious Liberty, wrote an editorial urging that the UN welcome mat be pulled out from under Rouhani because of the regime’s horrendous human rights record. “According to Amnesty International and other respected human rights organizations, the human rights situation in Iran is fast deteriorating under Rouhani. There have been some 2,000 executions in Iran in the two years that Rouhani has been in office, more than in any similar period in the past 25 years. Iran holds the record of having the most executions per capita in the world, and is the biggest executioner of juvenile offenders,” Blackwell said. “So do not throw down the welcome mat for Hassan Rouhani in New York when he still represents a regime that sponsors terrorism and ruthlessly suppresses its population. Ignoring ongoing human rights violations in Iran as well as the growth of terrorism and meddling in the region will only embolden the regime and allow it to continue brutal crackdowns and escalating violence,” Blackwell added. To that end, a broad coalition of Iranian-American groups will hold a “Voices of Iran” rally in front of the UN on September 28th to protest Rouhani’s appearance and denounce the deteriorating state of human rights in Iran. Speakers at the rally are to include Bill Richardson, former U.S. ambassador to the UN and U.S. Energy Secretary; Tom Ridge, former U.S. Homeland Security Secretary and Governor of Pennsylvania; and Alan Dershowitz, former Harvard Law School professor. We can only hope that the world will give these Iranian-Americans the benefit of the coverage they deserve.